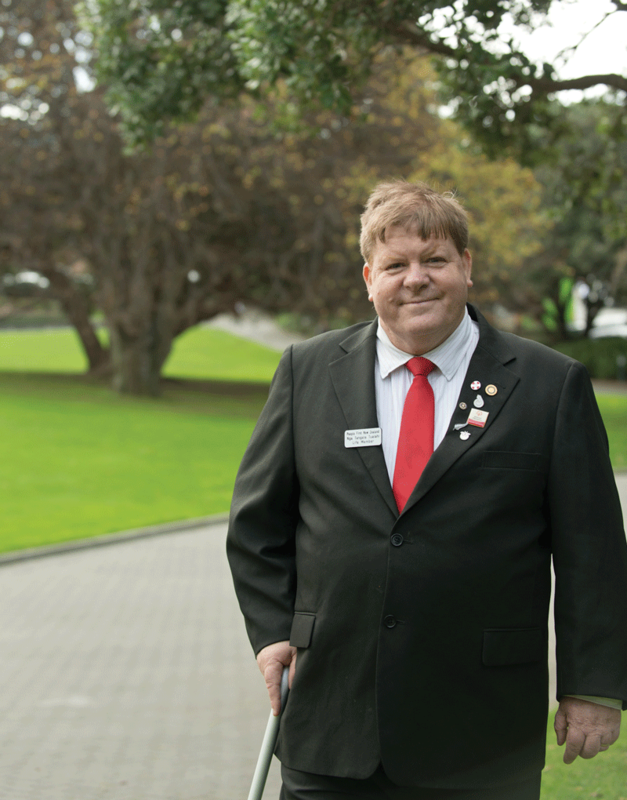 Earlier this year Robert Martin of Whanganui chaired three sessions of a UN Committee on the Rights of People with Disabilities (CPRD). Yet tell him that you want to chat about special education and he’s likely to fire back with a comment that “there’s nothing special about being special”. It sounds like an admonishment, but if you know Martin’s story, it is really just a statement of fact. Martin’s exceptionalism or “specialness” comes from being born with an intellectual disability and it has made much of his life miserable. Before he was two years old, Martin was removed from his family and sent to live in an institution. His parents Hazel and Jim had been told that their son “suffered from mental retardation and would never learn like other children.” He would “always be a child,” and it would be best for everyone if the boy went into a facility designed for people like him. Before he was two years old, Martin was removed from his family and sent to live in an institution. His earliest years were lived at the Kimberley Centre, near Levin, a sprawling collection of buildings and home for close to a thousand disabled people of all ages. He tells of how, from the very start, he pined for his family and for the ordinary world that he’d glimpse when he went home on occasional visits. From the age of five, because he was one of a few adjudged capable of some learning, Martin attended school at Kimberley. There he remembers using Cuisenaire rods, spelling, reading and what seemed like endless broadcasts from the correspondence school on the classroom radio. The most powerful learning he recalls happened in the dorm, where he was helped in creating a papier mache world for his friends, the plastic animals he had found in cereal packets. Many of his friends at Kimberley stayed there their entire lives, but for a couple of periods Martin found himself in the wider world, attending regular schools in Whanganui and Ohakune. He was always in a special unit but having come from an institution, he found the classroom environment difficult. Martin’s solution was to wander. He would find a way out of the classroom and look for interesting things to do, frequently involving the kicking of a ball. He would search the playground hoping to find one left outside at the end of playtime and boot it around until someone spied him and hauled him back into class. Sometimes he would sneak into the staffroom to check out whether there had been any biscuits left over from the teachers’ morning tea. But for Martin the hardest part of school was his inability to make friends with other students. He really wanted to join their games at lunch-time, especially the football, but life in an institution had not equipped him with many social skills. The fact that he was in a special unit created an extra barrier and no-one wanted him in their team. Unsurprisingly Martin and trouble became synonymous. His truanting and pilfering were problem enough, but there was also constant fighting. Martin’s only way of dealing with the rejection he felt socially was to lash out and there were plenty in the playground who enjoyed seeing the small red-head lose his rag and would goad him on. So Martin found himself back in institutions. He returned to Kimberley, spent the worst time of his life at Lake Alice Psychiatric Hospital, and did two stints at Campbell Park Boys Home in the South Island. In those places he experienced loneliness, abuse and violence, so that by the time he was 15 and released from state care and schooling, he was, to use his own term “wild”. What’s more, Martin was functionally illiterate. He had hoped, on returning to Whanganui, that he might go to high school but he wasn’t given that opportunity. Martin says that he was “too thick”. “My lack of education impacted my life,” says Martin. “When I was 15 I went to quite a few places looking for a job but I had no qualifications and I ended up in the sheltered workshops. I thought I was worth a bit more than that but apparently not. I never felt valued. It is fair to say that most of Martin’s education happened in the years post-school and much of it was self-directed. He is passionate and knowledgeable about the animal world, sport, geography and modern history, and spends much of his leisure-time watching videos and poring over books on these subjects. Martin’s education has also been impacted by a succession of mentors who recognised his potential. He credits an IHC social worker, Alison Campbell, for helping him develop skills to deal with the anger and violence he carried into adulthood. It was she who first showed him how to speak up for himself and others and set him on the path toward leadership. Later, when Martin took up a role in IHC, advocating for those employed in the workshops and living in the homes, Desmond Corrigan played a critical role. A former teacher and later IHC Regional Manager, Desmond worked intensively with Martin helping him develop the vocabulary and communication skills that would eventually carry him on to the world stage. Martin is quick to acknowledge the support he has received and believes that all over the world people with disabilities underachieve in large part because society does not acknowledge their potential. He desperately wanted to learn, to be alongside other children and live a normal life. The fact that he missed out on those things contributes to his passionate advocacy for inclusive education. “Education is not a privilege,” he says. “It is a basic human right. 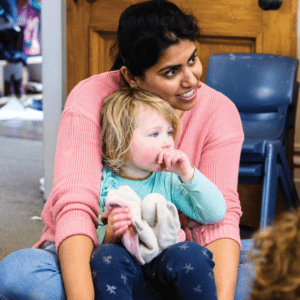 All people have a right to be educated in a way that suits them and have the assistance that they need – from as soon as they walk in the door of ECE until they finish school at Year 13. It is vital that principals and teachers believe in the right of children with disabilities to a quality education and are motivated and resourced to achieve that. Training in teaching people with disabilities is important “but not the be all and end all.” Attitude is critical. Martin acknowledges that the current schooling system is under pressure and it’s not surprising that meeting the needs of children with disabilities has become a flashpoint. Article 24 of the UN CRPD states that implementing inclusive education is about making system-wide changes. He points to Article 24 of the UN CRPD that deals with education. The article states that implementing inclusive education is about making system-wide changes. The system must adapt to the needs of individuals, not the other way round. “We need school to be somewhere that kids want to go to,” says Martin, quickly adding that teachers need to want to be there as well. When asked about his sense of how New Zealand is progressing in providing inclusive education, Martin says that compared with some other countries we are not doing very well. The Human Rights Commission describes the right to education as one that develops individuals to their fullest potential and prepares them for responsible life in a free society, including development of respect for others and for human rights. It is not sufficient to provide the same education for all, it is necessary to provide different and additional support. This includes specialist teachers for children with particular educational needs; and ensuring access to good quality Braille, New Zealand Sign Language and other communication assistance. It also includes indigenous children having access to education in their own culture and language, subsidised transport for rural children to get to school, and additional benefits to attract quality teachers to isolated schools. Inclusive education is defined as a universal human right, but how well are we doing and what are our obligations? How are schools and teachers rising to the multiple challenges? 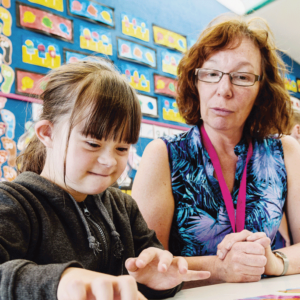 When we’re talking about inclusive education, it’s important that we also look at the bigger picture, says Professor Missy Morton. “I don’t think you can talk about inclusive education without spending a bit of time talking about what do we think the purpose of education is? What is it we’re trying to include everybody into? 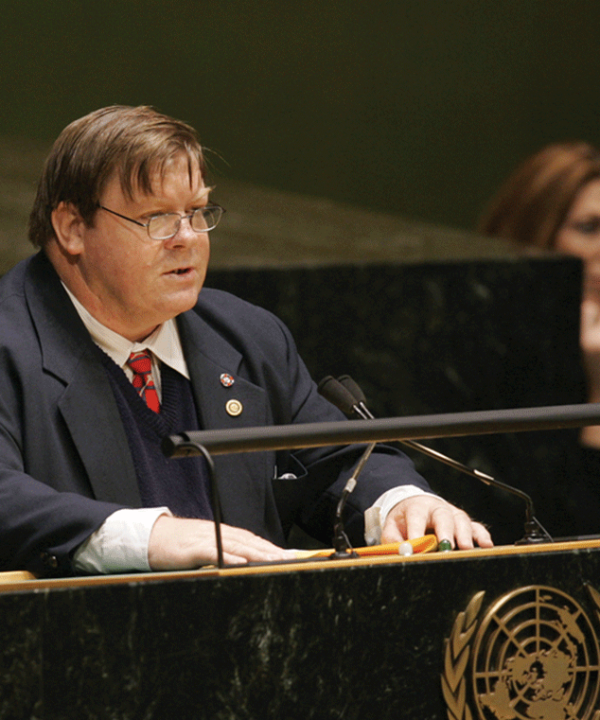 Morton is Professor of Disability Studies and Inclusive Education, Faculty of Education, University of Auckland. She has led or worked on a number of Ministry of Education projects focussed on supporting teachers and schools to ensure all learners are welcomed, they are learning and achieving and have a real sense of belonging. Morton is a founding member of the Inclusive Education Action Group, a collaboration of disabled people and their allies, families, friends and professionals. She was part of the writing group for the first New Zealand Disability Strategy. Looking at inclusive education from her perspective means asking the big questions rather than only getting caught up in the nuts and bolts. What kind of society do we want? And what is the relationship between school, education and society? Is schooling just about helping people get qualifications for work or do we have bigger aspirations for our education system? “I like to think that some of our aspirations for education include a really informed citizenry who can participate in democracy. Morton’s recent projects and publications look at structures and practices that support teachers and schools to welcome all children, young people and their families and provide a quality education for all students. The more we understand about the bigger picture, the more we are talking about doing at least some things differently. Some learning areas such as science and social sciences are viewed as constantly developing and changing. But we don’t necessarily think about creating the kinds of culture or ethos schools need in order to be comfortable and confident about embracing change and challenges. Teachers are often seen as having a role as change agents – for example, in helping learn numeracy differently. Or being change agents in helping some children feel more welcome and other children to welcome those who appear to be different. Sometimes this is talked about in terms of social justice. Classrooms are complex ecosystems, she says. It’s not a matter of just standing up the front and telling children how to do their times tables. Those days are long gone. But that idea of teaching still seems to loom large in the popular imagination of what’s involved in schooling. Like doctors and the medical profession, teachers have had to be careful talking about stresses and difficulties in case it reflected on their competence or school’s reputation. Like doctors and the medical profession, teachers have had to be careful talking about stresses and difficulties in case it reflected on their competence or school’s reputation. It has not been safe to admit mistakes even though mistakes are an important way to learn. The majority of our children are educated in the local school system, with the expectation that registered teachers should feel competent to teach all children. “It’s not said anywhere but seems to imply that the rest of that sentence is ‘and do it all on their own’. One of the rationales for innovative learning environments was to remove isolation, says Morton. That comes with its own complexities but potentially offers the chance to work as a team and for people to take responsibility for leadership at different times for different aspects. We need to be doing more in initial teacher education around consultation and collaboration, she says. 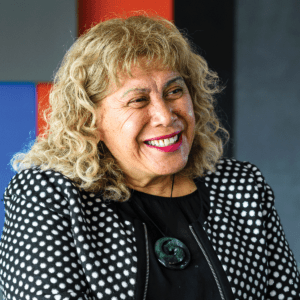 Our Schooling Futures: Stronger Together | Whiria Ngā Kura Tūātinitini, the review report of the Tomorrow’s Schools Independent Taskforce, has been released for public consultation. A key finding was that unhealthy competition between schools has significantly increased as a result of the self-governing school model. It has also impacted on the ability of some students and whānau to exercise choice. Professor Missy Morton says there is a need for serious recruitment of variously abled education professionals who are not typically seen. In terms of the teacher education workforce, some universities have made significant efforts to recruit in terms of ethnic diversity, as well as gender and sexuality, says Morton. 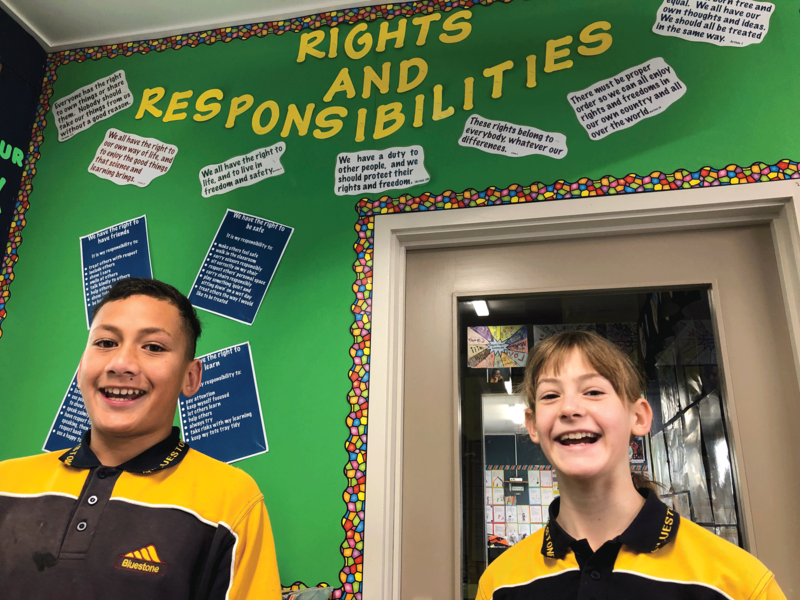 Bluestone School in Timaru starts each year with discussion about rights and responsibilities. “This does away with the need for school rules,” says principal Ian Poulter, because the human rights framework the school works on is human decency. The Human Rights in Education framework (see page 13), introduced at the school almost 10 years ago, is the lens through which everything is viewed, whether looking at New Zealand history, coming to terms with tikanga, overcoming entrenched views, discussing bullying, child poverty (financial and time poverty) or wellness of staff, school community, class or children. The framework comes with on-going challenges to self-review, to check the school is still reflecting human rights values. New staff need to understand what Human Rights in Education means for the whole school community and what is expected in the classroom. Ian Poulter has been principal since the human rights framework was introduced, and stability of school leadership means it is easier to achieve and maintain. Board of trustees buy-in is essential and their knowledge also needs to be constantly updated. 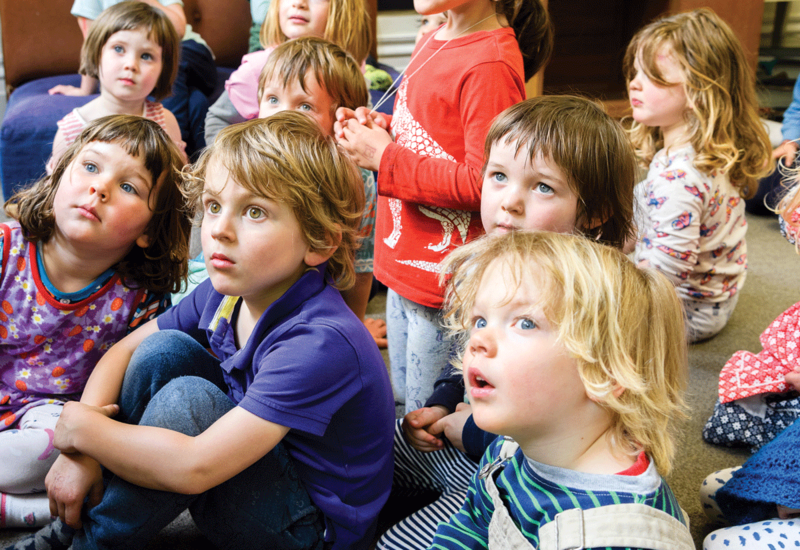 News events children see in media can be used to understand what reality is for many people around the world and help children reflect on human rights, without over-dramatising and making children unnecessarily anxious. “But much of what we do (especially for our younger children) is about things they can easily relate to. You have rights, but for you to enjoy these rights we all have shared responsibilities – you included! “This to me is the building block of understanding human rights, for if each of us doesn’t treat others as we would want to be treated then our world is not going to be a happy one where we feel safe, secure and confident. John McRae is the author of Becoming A Person: the biography of Robert Martin, published by Potton Burton. Kirsten Warner is a poet, journalist and musician.